We were happy to be in Lindsborg, KS celebrating the annual Midsummer’s Festival today. The Midsummer festival is a worldwide Swedish tradition held to welcome the arrival of the summer solstice. I must say, that it certainly felt like summer with the temperature climbing over the one hundred degree mark! 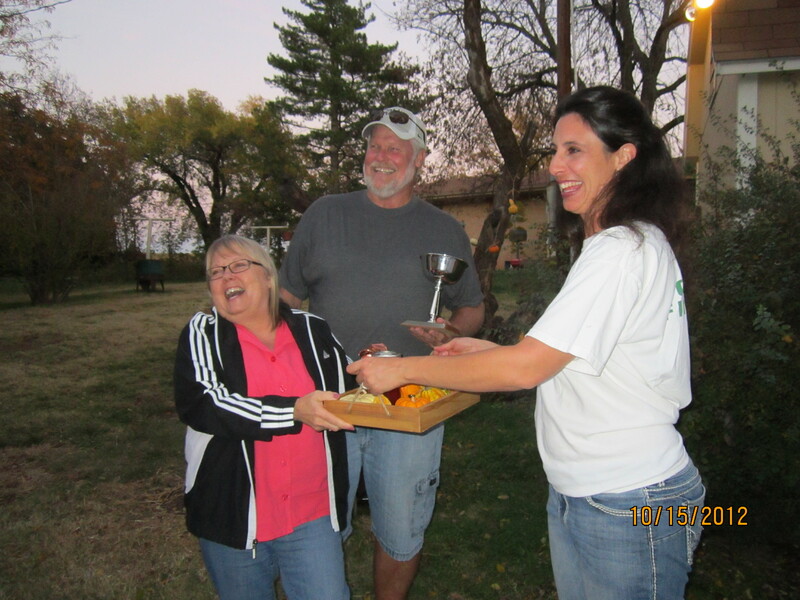 However, the temperature could not deter the Swedes from dancing, playing Kubb, lots of Swedish foods, and much more. As I watched girls run with their flower crowns amid the themed Dala horses, I was thankful to be in the heartland of Kansas where small communities offer so many opportunities for families to come together! 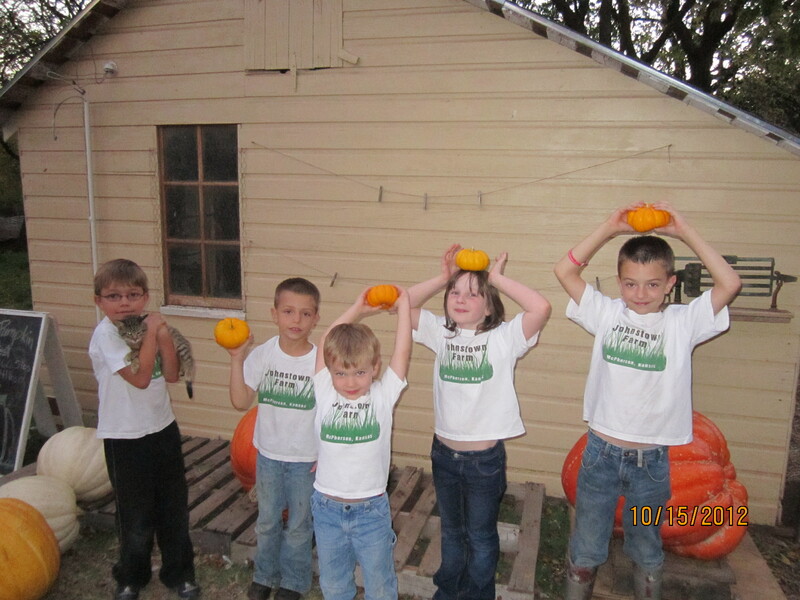 We enjoyed a weekend of preparing the farm for the upcoming season of Grammy’s Pumpkin Patch. We all do our own parts during the year, but my favorite time is when all the family comes down to work together. The beautiful weather was just what we needed to keep us going as we worked outside. I love that coolness in the air. 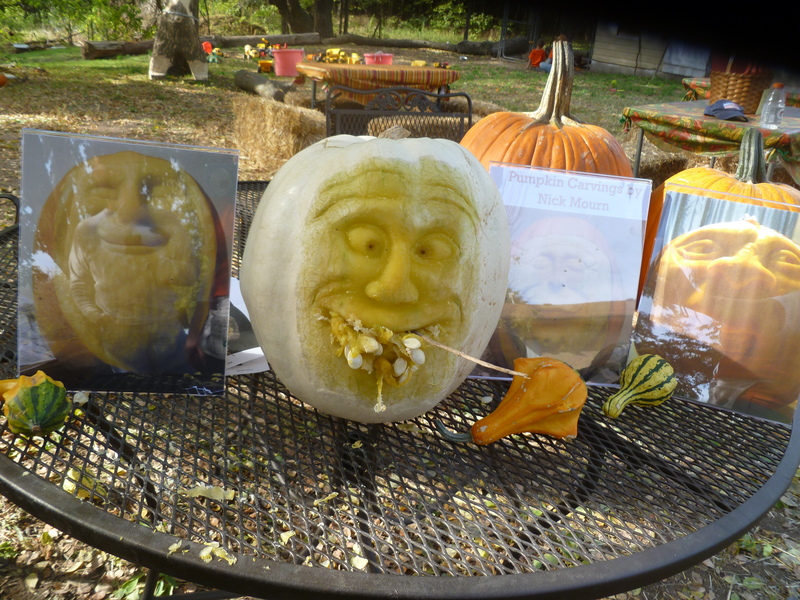 It makes everything feel so….autumnish! 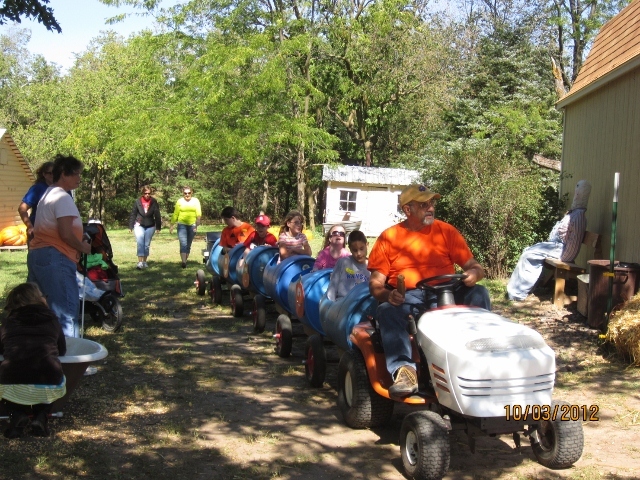 Justin was working on preparing the trail for the barrel train, Dan was busy in the shop creating contraptions for the destruction zone, Papa was wiring the converted education room, Grammy fed us all, Angie and I were working on scheduling and store preparation, and the grandkids… had the most important job this weekend. 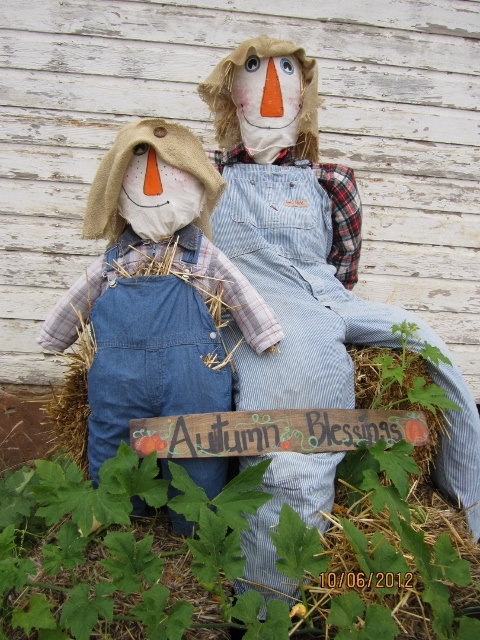 They were cuddling the two new kittens and putting together scarecrows. 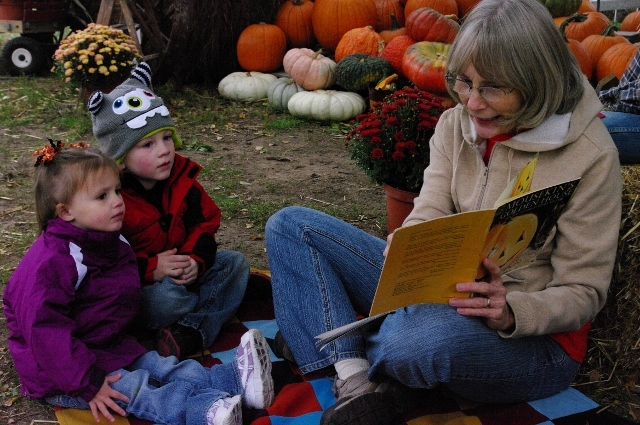 I can hardly believe that this weekend is the final chance for families to come out to celebrate autumn at Grammy’s Pumpkin Patch. Somehow the past 5 weeks have flown by! We have enjoyed meeting many new families and students this season. Join us for one last hurrah this weekend! 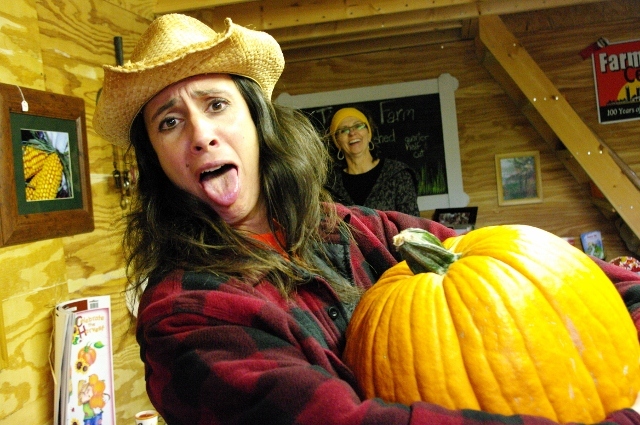 There are still pumpkins waiting to be chosen, train rides to be taken, pumpkins to be smashed, and family memories to be made. 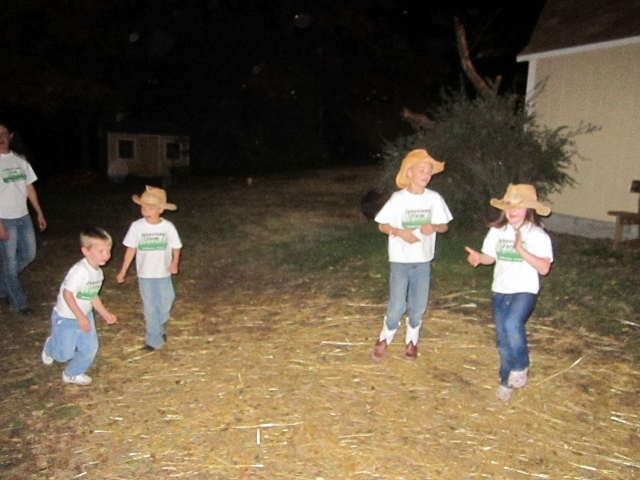 Sundance Farm will have Scotty out to pull the wagon on Saturday, so bundle up and come on out! 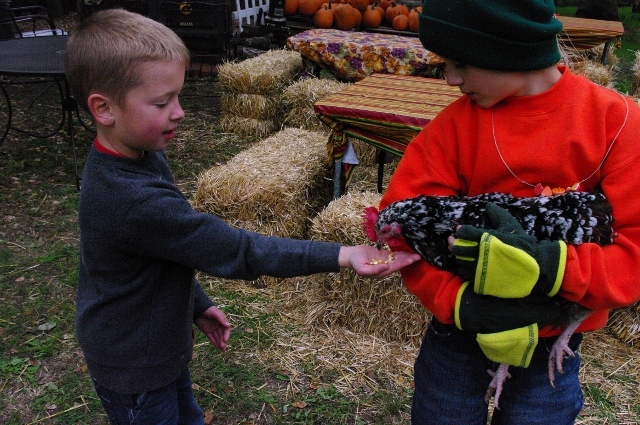 This weekend should be a great one to get out to the patch! Today’s wind is blowing in some nice weather for Saturday and Sunday. 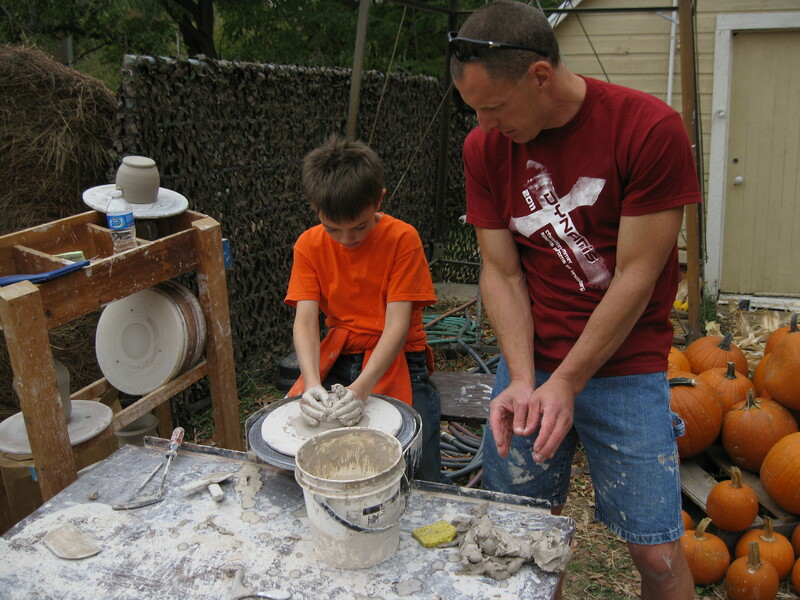 Kurt Krehbiel will also be out Saturday with his potter’s wheel throwing all kinds of creations. 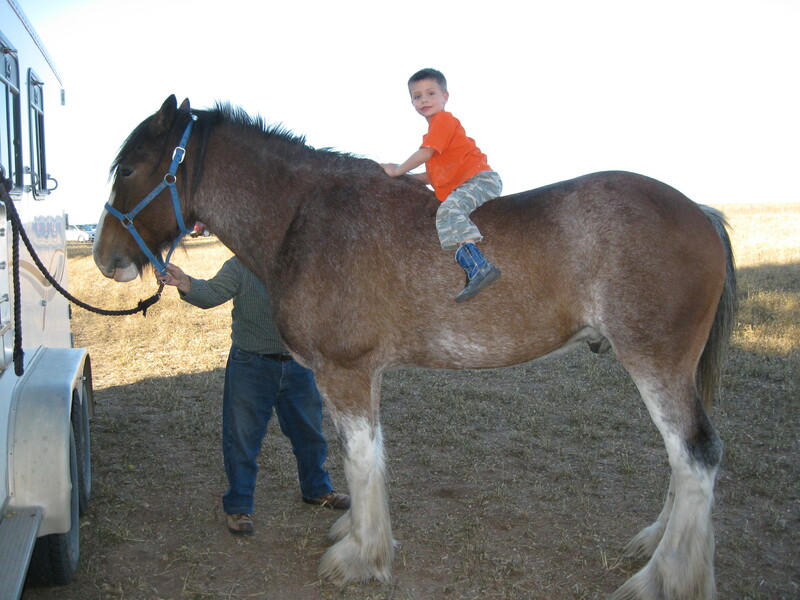 We are looking forward to Sundance Farm bringing Scotty out on Sunday to pull the horse wagon again. I’ve been meaning to get a good picture of him pulling. 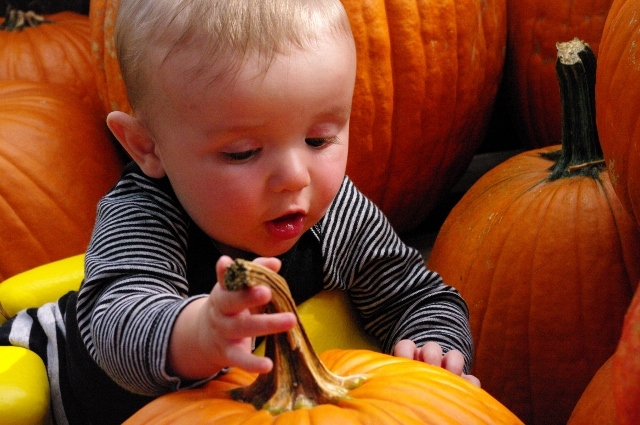 Of course, there are still lots of pumpkins to choose from so you can carve your own at home! 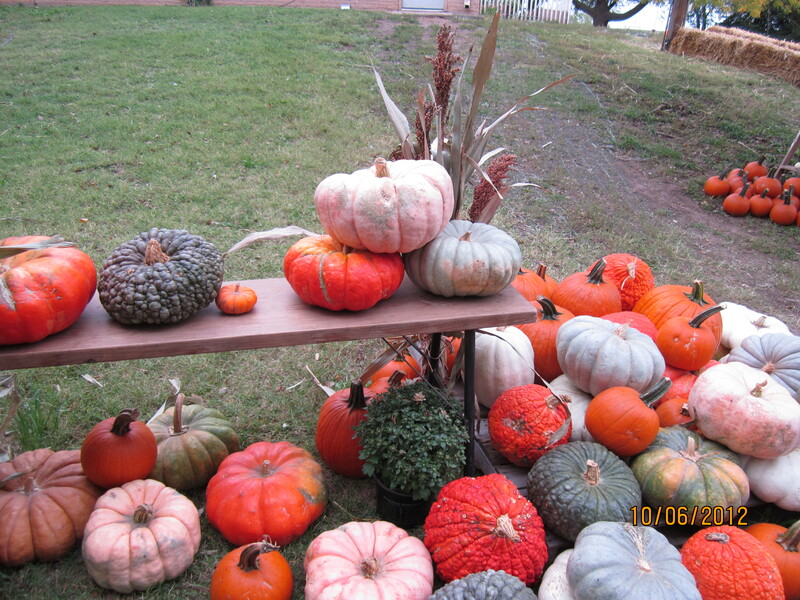 The annual Johnstown Giant Pumpkin contest took place at Grammy’s yesterday evening. 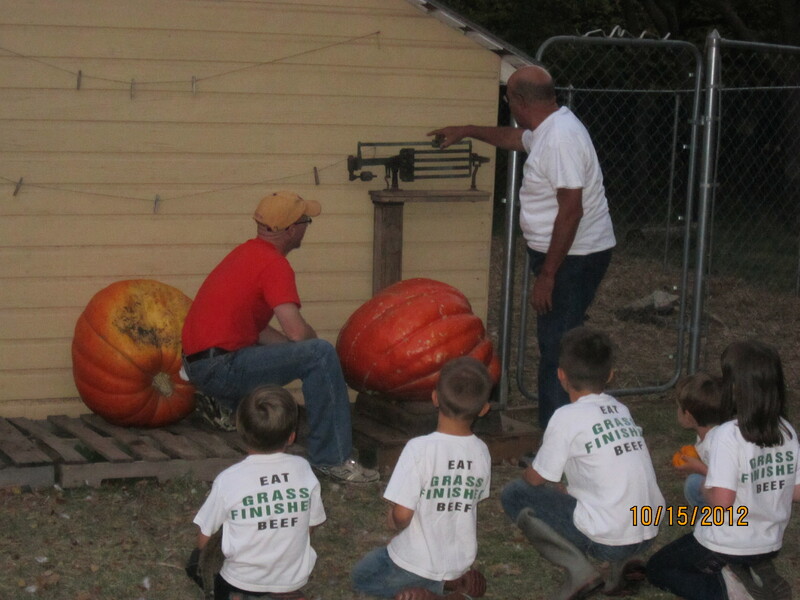 The largest pumpkin, a Dill’s Atlantic, weighed in at just over 160 pounds! 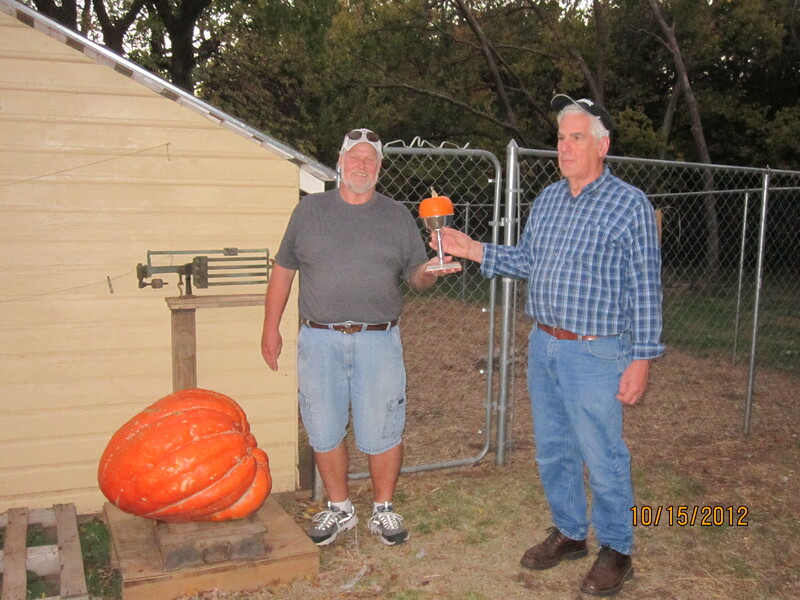 The giant was grown by Daryl and Kola Johnson of Johnstown. 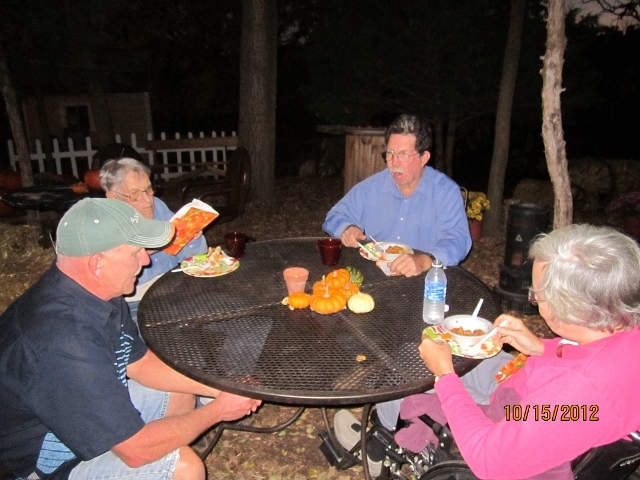 The evening was such fun with filling food, conversation, and music! Corky explained the founding of Johnstown with several others adding in details as well. I love the stories of my family and heritage and last night was full of them. 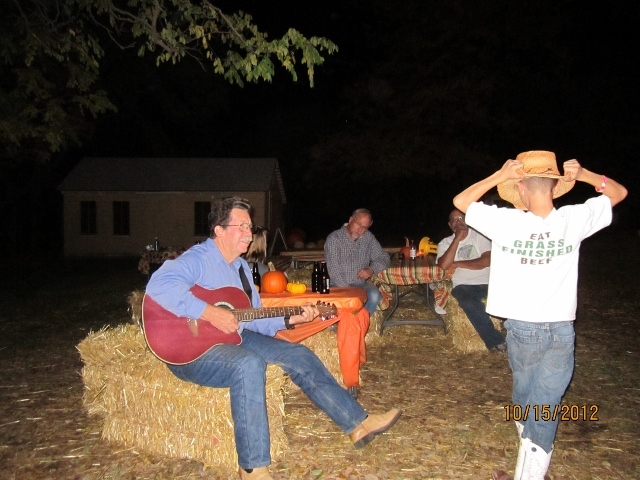 Leland led in singing, and the grandkids led in dancing. Quite the perfect night! Last week was great fun! I wanted to catch up with a few pictures. 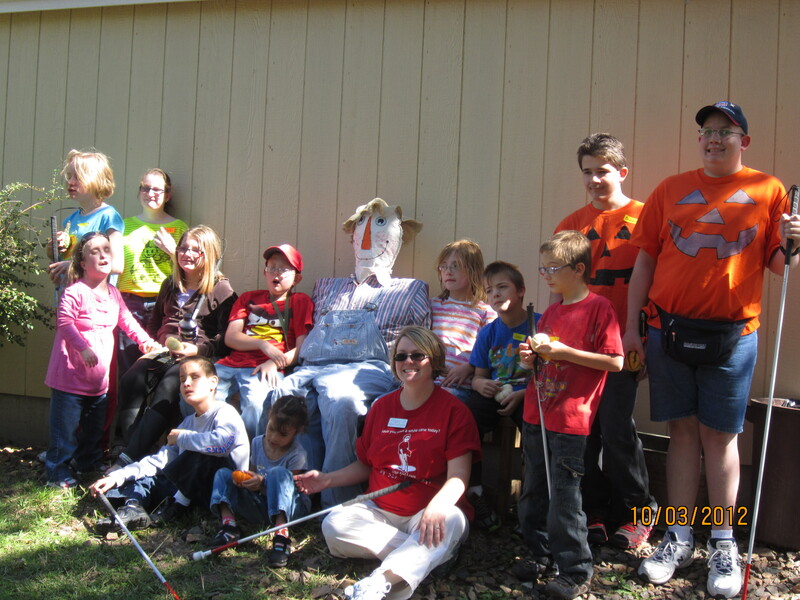 A highlight of the week was Anna Cyr’s group of students from several counties. My own children were very interested in having the students show them how the Braille machine works. This weekend was busy as well! 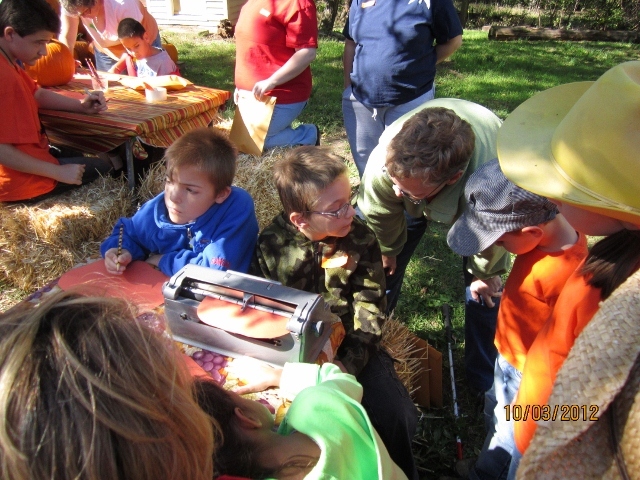 Many families came out to enjoy the day on the farm and left with the perfect pumpkins for carving. Thanks, Julie Wisbey for the pictures. Don’t forget that she is out most weekends, available for family autumn photo sessions. 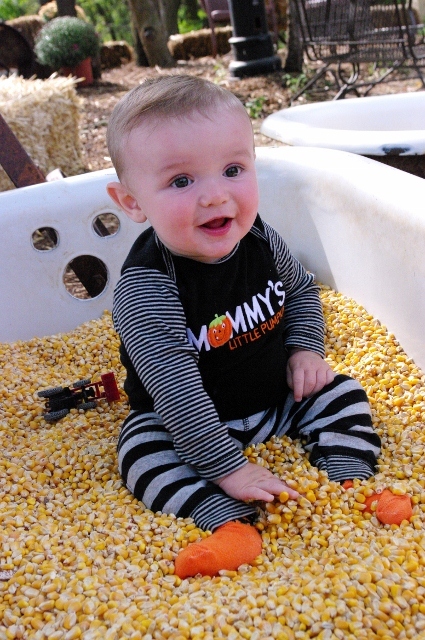 We enjoyed a great opening weekend at Grammy’s Pumpkin Patch! My favorite part was, as always, watching families connect, play, and make memories. 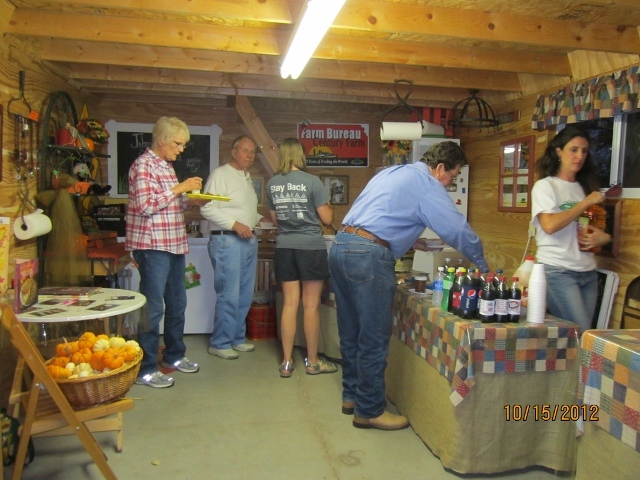 I am looking forward to the week filled with our Agriculture Education classes “In the Class and On the Farm” program. A brand new world for this little guy! This little guy is too cute!